Left: St Bartholomew's, Brighton, west front with (ritual) north side. Right: Rose window with closer view of materials. St Bartholomew's is a Grade I listed Anglican church in Brighton, Sussex, designed by local architect Edmund E. Scott (1828-95; no relation of the Gilbert Scotts) in an Italian Gothic style. It was built 1872-74 for its Tractarian founder, Father A. D. Wagner, who wanted to replace an old mission church which no longer met the needs of a growing congregation, and who funded it himself. Its year of completion is shown next to the door of the north-west porch (see below right), though it was unfinished when opened, and never went as far back as (probably) intended. Certainly, Henry Wilson's planned eastward extension was never built. Its interior too remained unfinished for some years. Nevertheless, it is far and away the grandest of Scott's several Sussex churches, leading commentators to believe that Wagner had a hand in planning it (see "Architects and Artists S"). The materials are brick of different shades: the listing text describes it as simply "yellow," which seems inadequate. Besides, Scott employed subtle diapering, brighter red moulded brick, and Portland stone, and originally used variegated roof tiles. Towering dramatically above otherwise nondescript surroundings, the church stands in Ann Street, close to Brighton station, where it was built to serve an area which was then home to many railway workers. It has been described as "an overwhelming church for a poor district" (Nairn and Pevsner 430), and it still seems "overwhelming" today. Left: North-west porch. 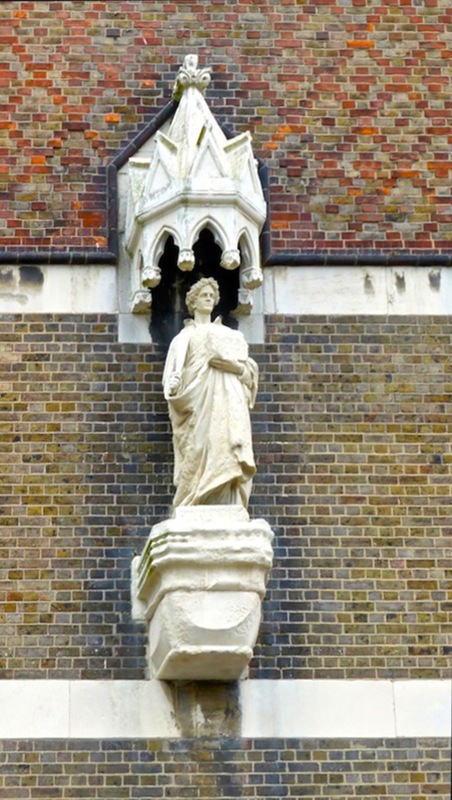 Right: Canopied statue of St Bartholomew. The church has two main distinctions. One is very obvious: its height. At 135' high it is is "the tallest parish church in Britain, if not in Europe" ("St Bartholomew's Church, Brighton"), outstripping even Westminster Abbey in the height of its nave (Nairn and Pevsner 430). Its other great distinction is obvious, too. This is its unusual interior, cavernous but with a dazzling Byzantine decorative scheme devised later on, in 1898, by Henry Wilson. However, another feature runs these two a close third. 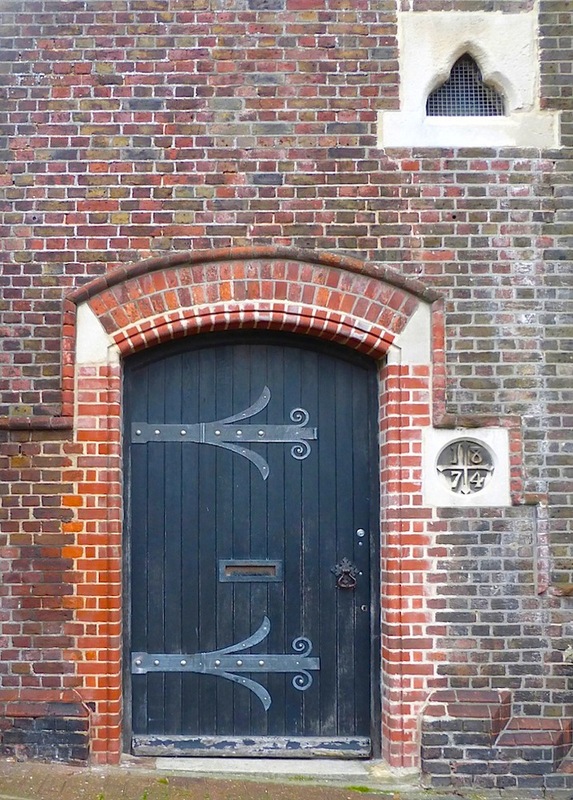 This is its remarkable brickwork, at once functional and much more aesthetically pleasing than at first appears. A full technical description can be found in the listing text, but any visitor, having once got over the sheer height of the church, can enjoy Scott's various ways of relieving the great expanse of plain brick. 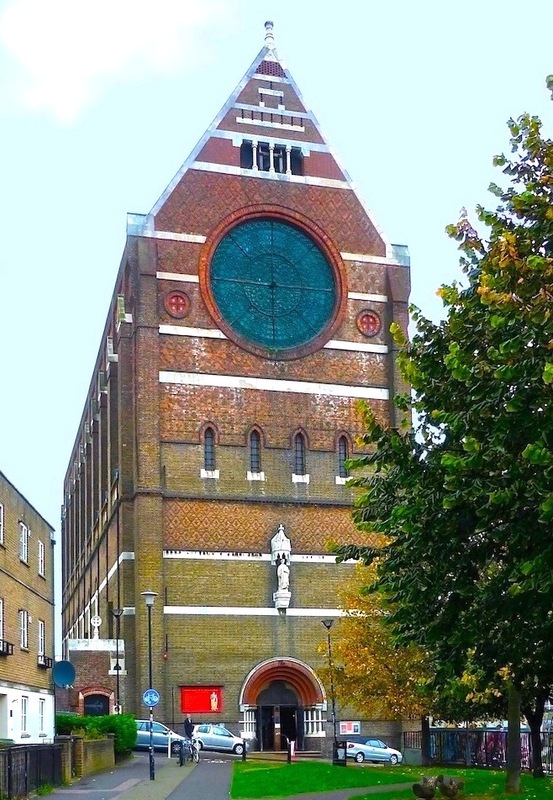 The west front is crossed horizontally by bright stone bands, with a canopied statue of St Bartholomew over the west door, and the brick itself is laid in distinct bands with shallow setbacks (not far above the statue's canopy, for instance, is a dentilled cornice). 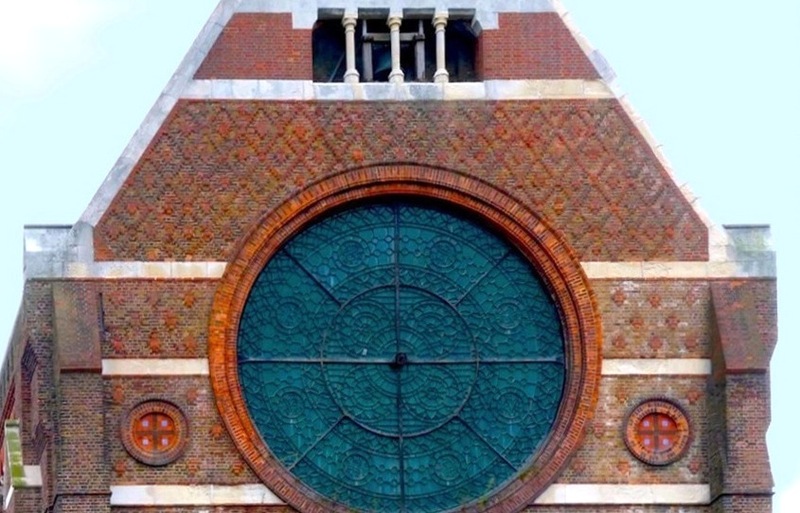 The subtle diapering also helps, as does the red moulded brick which picks out the west entrance, rose window and small tile-work roundels on either side of it. This kind of fine detailing, including the mini-columns fronting the belfry, continues right up into the very peak of the gable, and draws the eye along with it. The vast interior, with its deep arcading at the sides, the Stations of the Cross (brought in from Belgium in 1888) on the pillars, and Wilson's glowing sanctuary. Since the nave has no aisles, it could have been forbiddingly cavernous. But, again, much is achieved just by the brickwork. The nine-bay church is deeply arcaded along each side — deeply enough to accommodate some side chapels and large fittings — with narrow internal buttressing as a feature as well as necessity. The interior is lit not only by the huge rose window on the west front, and the other windows (lancets and, above them, tall and wide clerestory windows), but also and quite magically by the glow given off by the sanctuary. This is dominated by Wilson's baldacchino. Its ceiling is filled with gold mosaic and glistening with mother of pearl; its supports shine with rich polished marble; and its brassware gleams. The effect is increased by its background: it is set against and flanked by the slightly later mosaics of the east wall designed in 1911 by Frederick (sometimes Frank) Hamilton Jackson (1848-1923). Teresa Sladen uses the word "numinous" of Wilson's watercolour plan for an even grander project (96), and although he was only able to realise some of its elements, the word still seems perfectly appropriate. 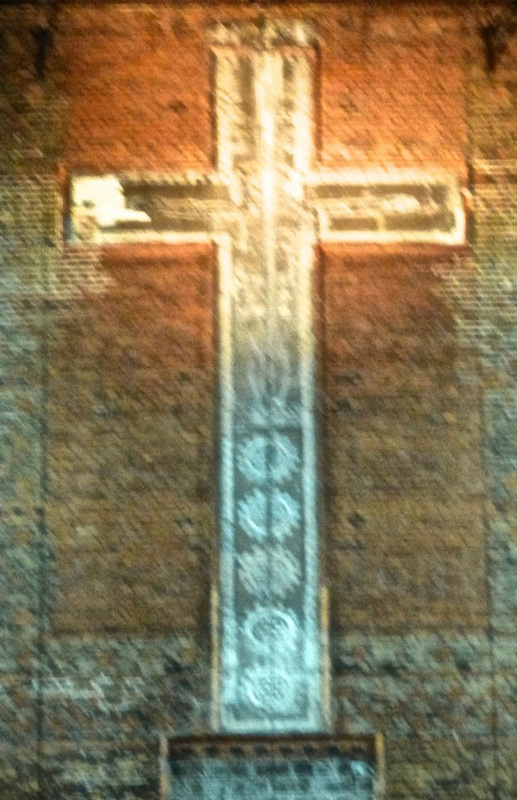 Left to right: (a) The cross on the east wall. (b) The east end. 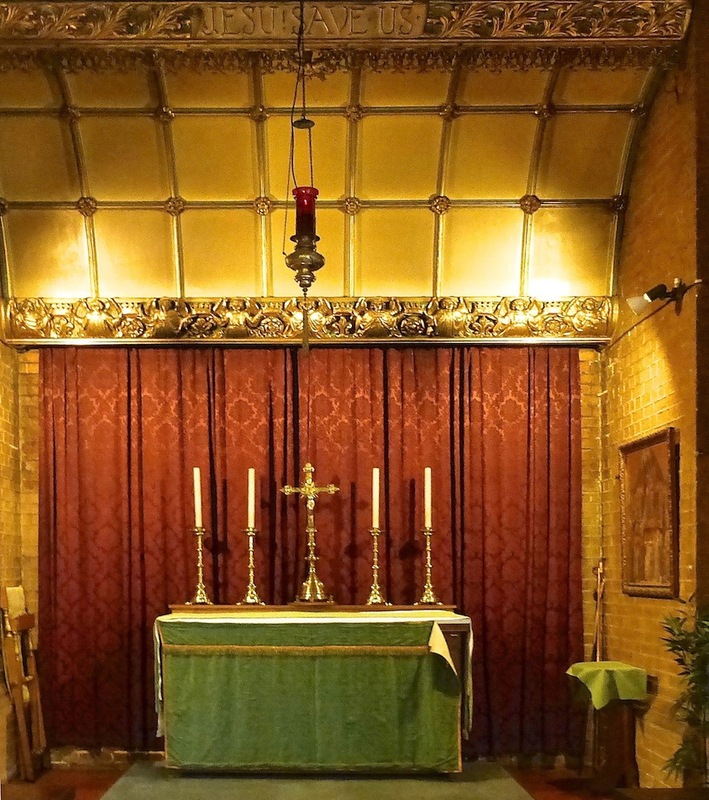 (c) In one of the western bays, a patterned and gilded Gothic canopy, fronted by the words, "Jesus Saves," curves over an altar, making a little side chapel. There are no carvings on the church walls — just as there is no tracery in the church windows — and not much stained glass, either. But the narrow lancets, three to a bay, and the big pointed clerestory windows, make a feature in themselves, inside as well out. Above the baldacchino at the east end, also seeming integral to the structure, is the "huge stone cross (partly painted and partly incised on encaustic tiles)" that was part of the original design of 1874. The original design, on which this has been modelled, was by a Mr S. Bell, who was quite possibly connected with the firm of Clayton & Bell ("St Bartholomew's Church"; see also, "Architects and Artists B"). At the west end is the organ, dating from 1901, by the venerable organ firm of J. W. Walker and Son, which is still very much in business and proudly proclaims its "appointment to the Queen." Like the frieze on the choir stalls, the wooden gallery with trefoil patterning in its balustrade arches was designed by Wilson himself — a refinement, in keeping with other Gothic Revival elements of the church, dating from 1906. Above this is the plain panelled barrel roof with tie-beams, too high to be seen well from below. Ornamentation would not have been in keeping with the general robustness of this structure, and would have been wasted on it, anyway. To the naked eye (as against the camera lens) it seems, as Simon Jenkins says, "lost in the clouds" (794). Not without reason, St Bartholomew's has been described as "one of the most tremendous C19 churches in the world" (Nairn and Pevsner 69). Furnishings of grand proportions were essential inside such a vast space — and, as already suggested here, these were exactly what Henry Wilson was able to provide. He also offset the general impression of "honest" architectural principles with much richer materials, stunningly crafted in Arts and Crafts style, with a late Victorian Byzantine flavour. See Part II. "Architects and Artists B." Sussex Parish Churches. Web. 1 November 2014. "Architects and Artists S." Sussex Parish Churches. Web. 1 November 2014. "Brighton and Hove — St Bartholomew, Ann Street." Sussex Parish Churches. Web. 1 November 2014. "Church of St Bartholomew, Brighton." British Listed Buildings. Web. 1 November 2014. Jenkins, Simon. England's Thousand Best Churches. Rev. ed. London, Penguin, 2009. Nairn, Ian, and Nikolaus Pevsner. The Buildings of England: Sussex. London: Penguin, 1965. 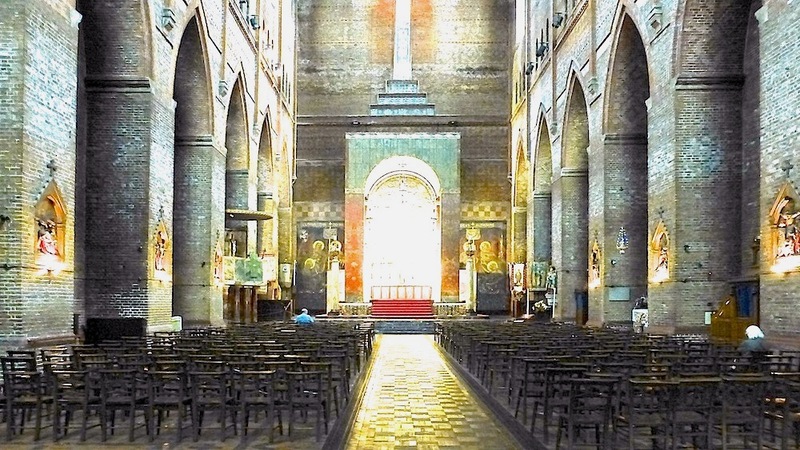 "St Bartholomew's Church, Brighton: A Brief Guide." Leaflet available at the church. Sladen, Teresa. "Byzantium in the Chancel: Surface Decoration and the Church Interior." 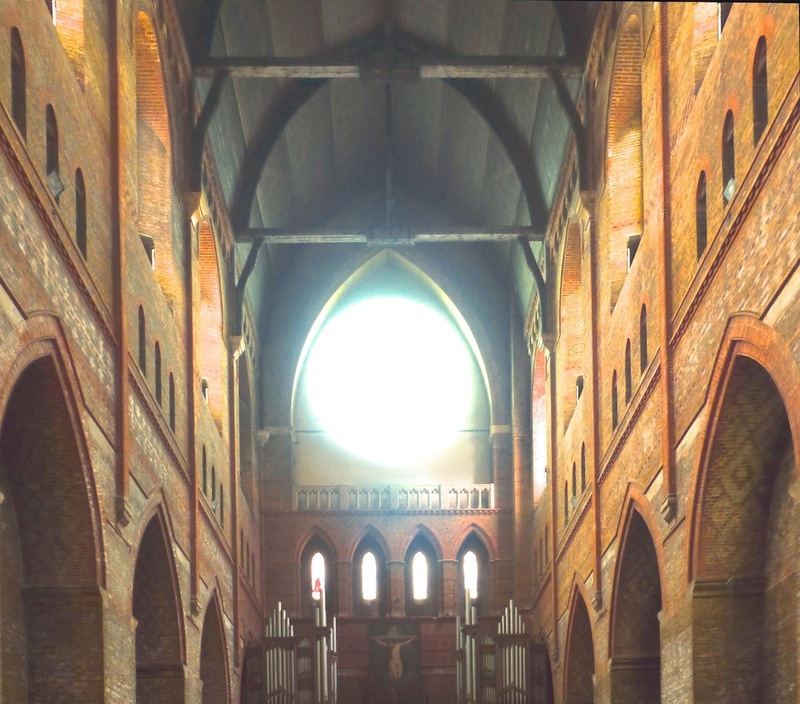 In Churches 1870-1914, the Victorian Society's journal, Studies in Victorian Architecture & Design. 3 (2011): 81-99. "Walker: Our History." J. W. Walker. Web 1 November 2015.